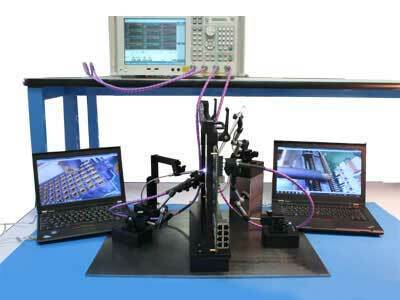 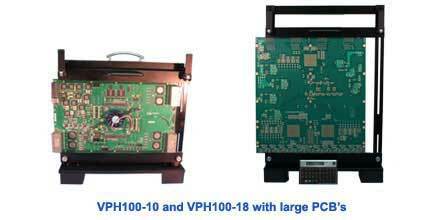 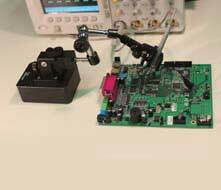 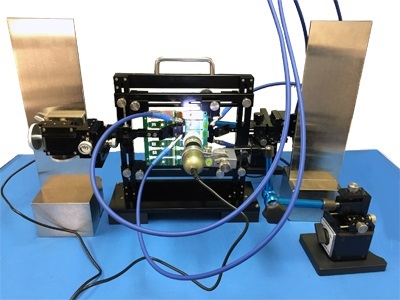 VPH100 holds a printed circuit board (PCB) vertically for double-sided probing applications. 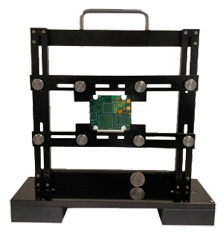 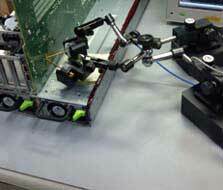 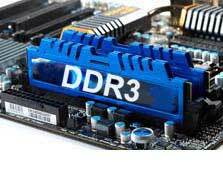 Its upper bar has a quick release mechanism that allows a user to easily mount and dismount a PCB from the holder. 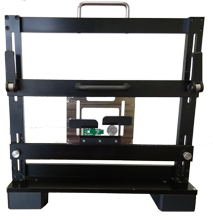 By loosening the adjustment screws, the lower bar can move up and down in 9 small steps (1 cm/step) to set the PCB in the appropriate height for ease of testing VPH80 is a new design to support small PCBs and modules. 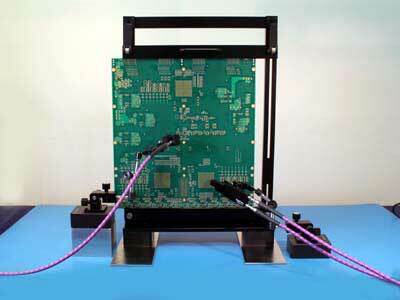 It holds the PCB/module at 4 corners.